This airticle is aboot the toun in the Unitit Kinrick. For the suburb o Perth, see High Wycombe, Wastren Australie. 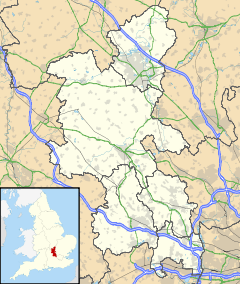 High Wycombe (/ˌhaɪ ˈwɪkəm/), often referred to as Wycombe, is a lairge toun in Buckinghamshire, Ingland. It is 29 miles (47 km) wast north wast o Charing Cross in Lunnon; this information is engravit on the Corn Market biggin in the centre o the town an aw. Accordin tae the 2011 census High Wycombe haes a population o 120,256 makkin it the seicont lairgest toun in the coonty o Buckinghamshire efter Milton Keynes. The High Wycombe Urban Aurie, the conurbation o which the toun is the laurgest component, haes a population o 133,204. ↑ "All UK Towns & Cities in Population Order (2011 Census)". Wikimedia Commons haes media relatit tae High Wycombe. This page wis last eeditit on 19 Juin 2017, at 23:27.